1. My first month as a Local Joe has been: exhausting BUT exciting! I’ve trained for a half marathon before, but this full marathon “thing” is quite the endurance test! However, the people I’ve met have been so encouraging. I’ve always been a “lone” runner. But there’s no way I can get through these double-digit runs without my Start2Finish comrades and GoRun experts! 2. What’s been your best experience so far? The best part about my experience has been the people in the running community who I have met. Truly amazing people who encourage you along the way. A sweaty high-five means so much! 3. Worst? Chafing in the weirdest places. We’ll leave it at that! 4. How are you feeling about July’s training? The July heat has been a challenge so far, especially with the long runs. I’m sacrificing sleep to run in cooler temperatures. And, I’ve tackled 12 miles! That’s huge for me. 15 is coming up. That makes me nervous. 5. Funniest Joe moment so far? 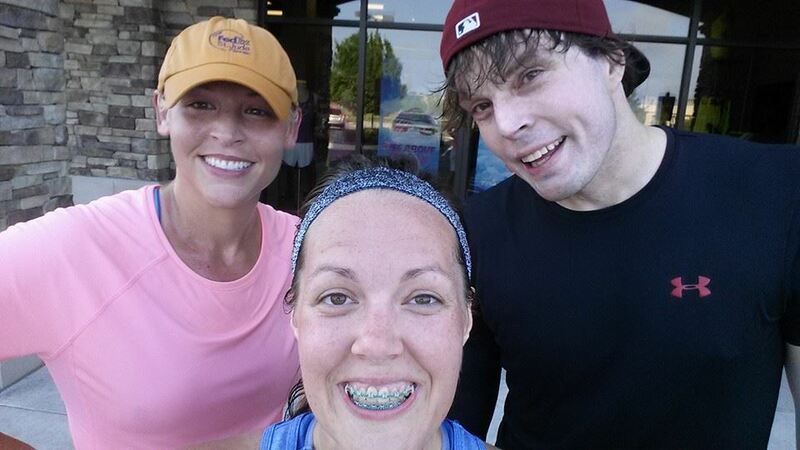 It has to be the selfies/pictures Angi Webster insists on taking after EVERY LONG RUN. I look the worst, but feel the best!